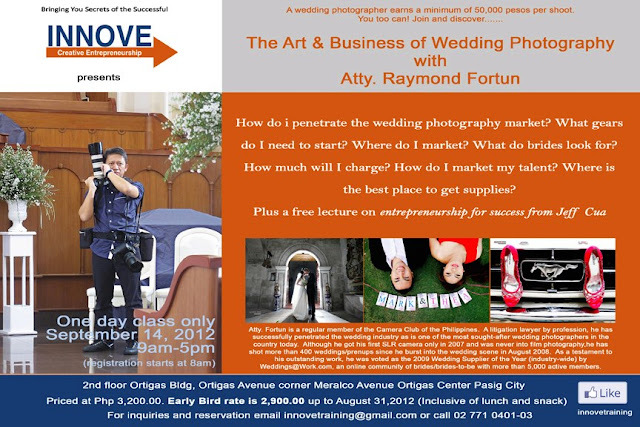 Here is your chance to know the secret of one of the successful wedding Photographer in Metro Manila, ang batikan lawyer na si Atty. Raymond Fortun. Please be sure to come if you reserve a slot.